When you work with a licensed Davis Facilitator, you will always be provided with all physical materials needed to complete the program and for any needed followup. There is no need to purchase anything extra. However, we do highly recommend that prospective Davis clients and/or their family members – especially parents – read The Gift of Dyslexia. Reading the book is the best way to get a sense of whether a Davis program is the right choice, and will also help provide an understanding as the logic and reasons behind each of the Davis tools. Parents of children who have arranged for programs for math, attention focus, or handwriting might also want to read The Gift of Learning, which describes the steps followed by Davis Facilitators to address problems in each of those areas. If working with a qualified Davis Facilitator is not possible or feasible for your family, you might consider a Davis home kit. The kits include instruction manuals to assist parents or other family members with getting started with Davis methods. 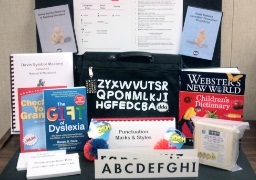 This kit includes all materials needed to get started using the key Davis techniques at home, and also includes instructional DVD’s containing demonstrations of various types of Davis mental skills training, Davis reading exercises, and clay mastery work. The kit is appropriate for use with children age 8 and above, as well as older teenagers and even with adult learners. Recommended for children age 5-8, a Davis Young Learner kit provides a gentle approach to lay the foundation for pre-readers and beginning readers to integrate Davis tools within their learning process. The kit manual provides a wide range of ideas and suggestions to keep the activities playful and appropriate for the developmental needs of younger children. 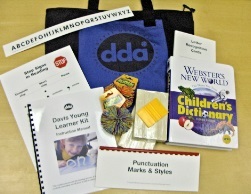 This is the identical kit that is used by facilitators who offer the Davis Reading Program for Young Learners. 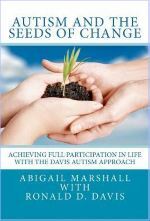 The book Autism and the Seeds of Change provides a detailed overview of the Davis Autism Approach. The book explains the history of the development of the program, and details each of the concepts that would be explored by an individual who was going through the program with a qualified Davis Autism Facilitator/Coach. This book is a must-read for any person with a student or family member on the autism spectrum, and particularly for individuals who are working with an individual who is in the process of completing a Davis program.